In his latest blog for Infologue.com Pip Courcoux, Product and Sales Manager for CLIQ® at Abloy UK, explains how revolutionary new security technology is having a positive impact on the UK’s healthcare sector. Pip writes: “We live in fast paced world, where the most precious currency is time. We often hear the phrase ‘time is money’, meaning people are not measured on age, success or wealth, but in the hours, minutes and seconds they have to offer. “If you had an extra minute each day, what could you achieve? If you are one of the people that has too much to do and not enough time to do it all in, it’s likely you may attribute more value to that time that someone who is not so busy. “In order to break barriers to success we have to overcome time, and it’s often one of the biggest challenges. One sector constantly reported to be particularly time stretched – although a big focus is placed upon the efficiency of staff – is the healthcare sector. “We often see news stories of an NHS stretched to its limits, and two areas that come under scrutiny are the efficiency of nurses and how their time is being spent, along with the effectiveness of the medicine management systems they utilise. “However, the latest security technology solutions are revolutionising the way nurses work and how medicines are distributed to patients. New web-based management systems such as Abloy PROTEC2 CLIQ® provide users with an electronic key, cut to the same code as their mechanical ones but with the addition of time-based access rights and flexible opening permissions. “The inception of such devices started with the idea that being able to deactivate lost or stolen controlled drug keys would be beneficial to those responsible for security within the healthcare sector. An additional benefit was that this not only delivered a major improvement to their security but also a significant increase in efficiency measured in time. “Traditionally, nurses have been at risk of losing a mechanical medicine cupboard key. This would mean an entire suite of new mechanical locks would have to be ordered to regain control of security – at an unwelcome cost and significant inconvenience. “To mitigate such risk, nurses can now use one key per ward – so only one set of keys exist and therefore one point of risk. In the past this was a pipe dream for ward sisters or pharmacy technicians eager to improve our ever-demanding healthcare service. “But this system is now a reality, providing a way for each staff member to have their own key, to access their assets when and where they need. Since that day, thousands of these keys and cylinders have been issued across UK healthcare organisations. “Early adopters of the solution found that over a year the time saved by this kind of system would be the equivalent of having an extra 24 nurses on duty every day across a Trust. This is due to the fact that nurses were spending an average of 40 minutes per shift looking for keys, which equated to 250 minutes lost on a ward every day. 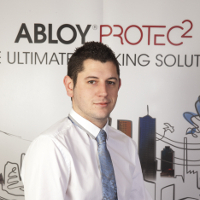 “One example of a product that provides this type of solution for increased efficiency and flexibility is Abloy PROTEC2 CLIQ®. This system allows for the remote management of disparate or large electronic master-keyed sites at any time, with comprehensive audit trails on locks and padlocks and the ability to invalidate lost or stolen keys, assuring secure key management at all times. “In a healthcare environment this means improved nursing efficiency, enhanced patient care, better security, and reduced theft. “PROTEC2 CLIQ® can also be combined with the Traka21 key management system, which allows nurses to gain access to a single key for the duration of their shift, by simply entering a PIN code to access a specific key that they then validate by entering it into the CLIQ Wall programming unit. “So those looking for a security system that offers both convenience and cost saving – whether that be in healthcare, or any other sector – should look into alternative electromechanical options, and give employees the most valuable commodity – more time”.